Jungian analyst James Hillman (1980) wisely said, “The desire to see and the need to be seen cannot be overestimated; when such seeing and being seen takes place, it is like a blessing” (p. 2). Divorcing couples who come to mediation interact with the mediator and each other differently depending on their different typological functions. Jung’s theory of personality types enables a mediator to see and hear each party more fully, and to recognize what is going on with the parties in the room. The founder of the San Francisco Jung Institute, Joseph Wheelwright (1973), acknowledged that “to talk intuitively to a fact-oriented man or intellectually to a woman who lives through feeling can be a waste of breath, as well as frustration to the patient” (p. 56). Husbands and wives frequently feel like their marriage broke down because their spouses didn’t hear what they were saying. Therefore, the mediator’s ability to see and hear what each party is saying, and to reframe it so that the other party can see and hear it, can make or break their ability to reach a settlement. A mediator who knows what her own personality type is and has worked on developing more than her superior function will have more tools to use when conducting a mediation. Being able to approach a party through different functions adds more modalities to the mediator’s toolbox. A mediator who can approach the parties in mediation from various functions, such as using sensing to hear precisely what the parties are saying, or using intuition to uncover what the parties are not saying, while using feeling to understand their motivations, will be at an advantage over a mediator who only uses the thinking function and approaches every decision that needs to be made from a rational perspective. The parties are probably not operating from one function at all times during the mediation, and if the mediator only has one style to use to communicate with the parties, the discussion will be limited as will the parties’ ability to reach agreements. Understandably, a mediator will not be able to develop all four functions equally, but the more that a mediator can access each function, the better the mediator will be able to work with others of differing personality types. A mediator, like a therapist, will be less likely to see pathology in those who interact in the world with a different style than her own, if she is aware of personality types. Thus she will be “less likely to interpret a client’s style and behavior as disturbed or problematical” (Myers, McCaulley, & Quenk, 1998, p. 224). The mediator’s use of perception, rather than thinking or feeling, can help the parties open their minds and possibly be able to see the dispute differently. Isabel Myers (1995) commented on how perception can create “a willingness to admit to consideration of new facts, ideas, and proposals, even though they involve the reopening of decisions or opinions” (p. 72). In one of my mediations, the husband was stuck on having custody of their dog and not letting his wife, who originally wanted to purchase a dog, see the dog. Using perception to talk about what was going on behind this struggle for the dog enabled him to see how his unwillingness to compromise on this issue could hurt him in obtaining other compromises that he wanted his wife to make, and allowed him to change his position on the dog. A mediator also has to be comfortable with her own inferior function. As an ENTJ, I have introverted feeling in that position. I have learned that, if I can be aware of how I’m feeling during a mediation, and what emotional responses the participants are bringing up in me, I’m less likely to react in an inappropriate way that will offend one or both of the parties. For example, I may find myself, with a racing pulse, getting angry at a party’s position because of my own life experiences. I have to stop and check in with myself to see if I’m reacting to something unrelated to what is going on in the room. Jung’s colleague, Marie-Louise von Franz (1971), described how the inferior function can pop up when she said, “If you are very clever and are willing to give in a lot, then you may be able to arrange so that it does not throw you. It will throw you sometimes, but not at the wrong moment” (p. 25). As the parties in a divorce mediation can be quite emotional, and their own inferior functions are continuously being triggered, it is important that the mediator be more aware than the participants of her own inferior function. Another reason for using psychological type in mediation is that it can be used to enhance rapport and to develop trust between the parties. The mediator, like a therapist, can use differences in type to explain to the parties why they are having such difficulties communicating. A preliminary discussion on type differences can provide “a nonjudgmental language for discussing sources of irritation and misunderstanding” (Myers, et al., 1998, p. 240). As the parties are usually in mediation because they cannot discuss things without irritating or misunderstanding each other, using type traits can be a neutral way to help them to see why they are in conflict. Myers (1998) observed how “in order to be successful, a communication needs to be listened to without impatience and understood without hostility” (Myers, et al., 1998, quoting Myers with Myers, 1980/1995, p. 233). An explanation of type differences can accomplish this goal. An analyst has many sessions to get to know people and discover their individuality and uniqueness. A mediator has a limited number of sessions (and sometimes only one day) to get to know the participants, develop their trust, and help them to reach decisions. Typology can help a mediator to quickly assess the situation and the participants’ roles, expectations, and negotiation styles. However, the mediator can’t rush to quick conclusions that, because this person is a thinking type, she won’t be able to access how she is feeling. As Jungian analyst Hillman (1980) observes, “If there is one thing each patient needs, it is to be perceived in his or her uniqueness” (p. 2). Hillman (1980) observed that the English language has over 18,000 words to describe personality traits, and if we reduce them to only eight possible combinations, we are at risk of losing the uniqueness of that individual. The key in mediation is to use type theory to imagine how a party is processing information and then to explore that hypothesis through asking questions, rather than to put a label on that person and then to base all interactions on that label. First, the mediator must become aware of the parties’ attitudes. Are they introverted or extraverted? A mediator may be able to determine who is an extravert and who is an introvert based upon who dominates the conversation or who takes some time to think before they speak. Jung described extraverts as “characterized by an outgoing, candid, and accommodating nature that adapts easily to a given situation, quickly forms attachments, and, setting aside any possible misgivings, will often venture forth with careless confidence into unknown situations” (Sharp, 1987, quoting Jung, p. 13). The introvert was described by Jung as “a hesitant, reflective, retiring nature that keeps itself to itself, shrinks from objects (and) is always slightly on the defensive” (Sharp, 1987, quoting Jung, p. 13). Myers (1995) pointed out that, “The introvert concentrates perception and judgment upon ideas, while the extravert likes to focus them on the outside environment” (p. 7). The introvert processes information quietly in her head while the extravert frequently processes information out loud and asks for feedback (Myers, et al., 1998). The introvert can get annoyed at the extravert’s constant talking, which may keep the introvert from being able to process the question at hand. Further, Myers (1995) reports that “things usually move faster for the extraverts” whereas “things move in a more considered direction for the introverts” (p. 7). Thus, the mediator needs to quickly adapt to both parties’ styles and give space for both kinds of processing. This may mean asking the extravert to sit quietly while the introvert processes the information being given or the question being asked and asking the introvert not to get upset when the extravert sounds like she’s changing her mind repeatedly as she verbally processes what is going on. Additionally, a mediator must ascertain whether the parties’ preferred extraverted functions are perceiving or judging. A person who uses perception (sensing or intuition) to interact externally will possibly take longer to make a decision or form an opinion (Myers, 1995). In one of my mediations, the wife had such an inability to process information or make a decision that I had her bring a lawyer to the next mediation session to help her make decisions. Myers (1995) stated that this type hopes “that they can solve the problem simply by understanding it better” (p. 69). This lack of ability to make a decision was very frustrating to her husband. On the other hand, someone who extraverts the preferred judging function, thinking or feeling, is frequently rushing to conclusions, because when used externally, “judgment really likes to dispose of things, even without the spur of necessity” (Myers, 1995, p. 69). If this type over-relies on judgment without exercising sufficient perception, he or she can be rigid and incapable of seeing the other’s point of view. Myers (1995) described this type as “narrow, rigid, and incapable of seeing any point of view except their own” (p. 70). These people frequently fall out of mediation, or may have to bring a lawyer with them to help them figure out how to compromise. A mediator who can sense what a party’s inferior function is will also have an advantage in working with the parties because the inferior function is where people can’t accept criticism. Von Franz (1971) described the inferior function as being unadapted, primitive and touchy. She also stated that commenting on something about another’s inferior function “is like walking on eggs; people cannot stand any criticism there” (p. 12). I had a party to a mediation whose thinking appeared to be his inferior function. He had a great difficulty going over the settlement agreement and wanted to make sure that he understood every word of the agreement (the way that he wanted to interpret it). He made both his lawyer and me crazy with all of his proposed changes to the agreement, most of which didn’t add anything to the agreement. Von Franz (1971), in describing the inferior function, explained how a “tremendous charge of emotion is generally connected with its processes” (p. 15). This client had that charge of emotion over a simple, two-sentence financial provision in the agreement. His emotional reaction was out of proportion to what was in dispute and led everyone to believe that he was using this provision to delay the divorce. However, after hours on the phone with him discussing his many proposed changes to these two sentences, I realized that thinking was probably his inferior function and that he was obsessing about these two sentences because he was afraid of making a mistake that would cost him financially. I spend hours listening to him, and he finally concluded that my original proposed language would resolve the situation but he had to talk himself through all of the variations (and the numerous redlined versions showing the changes) before he could reach that conclusion. A client whose superior function is extraverted intuition will have “an extraordinary ability to sense what is going on behind the scenes, under the surface” (Sharp, 1987, p. 59). This type is open to generating possibilities and may generate many settlement suggestions for others to consider. Type practitioners Leona Haas and Mark Hunziker (2006) described this preference as one that “connects the current world to future possibilities and options” (p. 54). Their open-mindedness could be helpful to generating settlement possibilities and also for accepting out-of-the-box solutions proposed by others. Jung scholar Daryl Sharp (1987) described the introverted intuitive type as a “mystical day-dreamer” (p. 85). Unlike the extraverted intuitive, the introverted intuitives may not “communicate well, are frequently misunderstood, and lack good judgment about both themselves and others” (p. 85). Thus, mediating with a participant of this type might be more challenging than with the extraverted intuitive. When working with a person of this type, a mediator might have to reframe the participant’s statements so that their intent is clearly communicated to the other party. The mediator might also have to walk them through the consequences of any potential settlement to make sure that they understand both the short- and long-term consequences of the choices that they are making. Wheelwright (1973) describes the extraverted sensation type “as the most practical of all and the best at adjusting their lives to their circumstances” (p. 65). However, the authors of the MBTI manual stated that an individual of this type might also feel that he or she is “slow and mundane” in moving from facts to insights (Myers, et al., 1998, p. 242). Thus, the mediator will have to give them the space to consider the proposals on the table. This type might do well with written lists of possibilities, such as a chart showing each asset, its value, and to whom it will be awarded so that they can see that an equal division is being proposed. They would also be better able to accept a child or spousal support proposal if they have made a budget and can see what adjustments they will have to make to live within that budget. Sharp (1987) described this type as one that pays “attention to the externals of life” (p. 55). He went on to explain how the inferior function of this type is introverted intuition. Thus, for this type “what is not factual, what cannot be seen, heard, touched, or smelled, is automatically suspect” (Sharp, 1987, p. 56). Therefore, the use of charts, documents, and lists helps this type to assimilate information and analyze settlement options. My clients who have this function-attitude in the superior position usually arrive at the mediation with the charts, documents, and spreadsheets, all organized in a nice binder with copies for the mediator and the other party. This ability to organize usually speeds up the mediation process as the homework-gathering stage is all or mostly completed by the first meeting, whereas other types can take weeks or months to gather all of the necessary information. Individuals of the introverted sensation type can get so stuck in their current routine that they can have a hard time imagining what the future might hold for them. In mediation, these individuals may be very distraught over a divorce even if they initially wanted it. Sharp (1987) contends that “they have the greatest difficulty imagining what might be” (p. 83). Haas & Hunziker (2006) explained that this type “experiences the present world through comparison with previous experiences” (p. 44). For instance, if a man of this type had a previous divorce that went badly, he may think this one will too. Or if a wife were raised by an absent father, she might have a hard time imagining why the father’s involvement is important for her children. Hillman (1971) described the Feeling types as having “a good hand which smoothes and straightens—and which also smothers. They do not like conflict” (p. 120). One couple that I have been working with (possibly Feeling types), have a love/hate relationship that prevents them from uncoupling. Neither wants to hurt the other when they aren’t arguing, but their dysfunctional style of interacting keeps them both from moving forward in their lives. Haas and Hunziker (2006) explain how the extraverted feeling type “usually puts others ahead of themselves” (p.96). One client in mediation can’t say no to his ex-wife or his children. In fact, he can’t say no to anyone, and is supporting so many people that he has no money left to support himself. In mediation, he agrees to whatever will make his spouse happy but then gets upset when he has no money left to live comfortably. The authors of the MBTI® Manual suggest that “feeling types, especially those in distress, are hypersensitive to indications that the counselor may not be on their side” (Myers, et al., 1998, p. 234). I have seen this play out in my office with a client, who appears to be an introverted feeling type. She left the mediation session through my front door because she had parked on the street, while I walked her husband out the back door because he was parked in the back, in my parking lot. The wife drove around to the parking lot, saw me talking with her husband without her and got very upset, assuming that he was lobbying me to take his side. Of course, that wasn’t what was happening and I explained to her what we had been discussing. However, since that time, I have created a protocol, where I accompany the husband out first while the wife waits inside, and I return to accompany the wife out separately. Jungian analysts Donald Sandner and John Beebe (1995) observe that “paranoia is a frequent problem for feeling types who become alienated” (p. 324). Von Franz (1971) described extraverted thinking types as appearing to have no feelings. In a divorce mediation, they may sit stoically, while the other party is crying, appearing to be indifferent to the emotions in the room. Then later, when their complexes are triggered, they may explode. In reality, as von Franz observes “they cannot express it at the appropriate moment” (p. 16). Additionally, an extraverted thinking type may be perceived as controlling and judgmental. A mediator can teach this type that their ideas and proposals will be met with more success if they can express appreciation before criticizing a proposal (Myers, et al., 1998). On the other hand, this type has the ability to think quickly and propose solutions that meet the needs of all (Haas & Hunziker, 2006). The last type, introverted thinking, may be more theoretically minded than practical (Sharp, 1987). Like the sensation type, they can organize information, but they do it in their own way which might not be as understandable to others (Haas & Hunziker, 2006). In mediation, they may have to ponder and tweak settlement proposals before arriving on one that they can agree to. This type also doesn’t often show emotion. Haas and Hunziker (2006) explained that introverted thinkers “often show a poker face to others, and people are not sure what is really going on with them” (p. 87). It is helpful when working with individuals of this type to help them organize their materials in a manner that the other party can understand and to give them documents in advance of a meeting so that they have time to ponder the information or tweak a proposal. The mediator must be patient and draw out their thoughts while they work through their process to respond to offers. When people are in mediation to resolve their disputes during a divorce, emotions are usually running high and complexes are regularly triggered. Hillman (1971) explained that “if the complexes are defined as groups of feeling-toned ideas, then one component of every complex is feeling and one way into every complex is via its feelings” (p. 98). As the feeling function operates as a judge of what we like or don’t like or agree or disagree with, this function must be given special attention in mediation. People frequently arrive at a divorce mediation feeling lost about their relationships and unsure of where the uncoupling is heading. Hillman (1971) says this disorientation is a characteristic of our era, contending that “loss is the main characteristic of feeling just now; we are at a loss, not knowing how to feel, where to feel, why to feel, or even if we feel” (p. 97). Everyone has feelings (emotions), “Thinking” types no less than “Feeling” types. Those with a preference for Thinking tend to treat feelings like data—to try to avoid being swayed by the emotional energy, in order to make logical decisions. But a Thinking type’s less-developed Feeling function may not handle feelings well, in emotion-triggering situations like mediation. Those whose preferred and developed Judging function is Feeling, on the other hand, usually trust their emotional reactions and will tend to be guided more by them than by logical analysis. Therefore, a mediator has to pay special attention to this function as it leads so much of the process, and to try to understand where Feeling lies in clients’ typology. Hillman (1971) went on to explain that “self-realization is a process of feeling-realization, realizing what we feel, feeling what we are” (p. 102). If the mediator can help the parties acknowledge how their emotions are driving the process of what they will or will not agree to or settle for, the parties may be able to make better, more rational decisions. In mediation, the parties’ feelings need to be respected and validated. If that is not done, the parties can get stuck in their unconscious complexes and be unable to move forward. Hillman (1971) reminds us how one must connect with emotion: “By giving value to the anger or the complaint and encouraging its expression by feeling, it moves toward consciousness” (p. 143). Many years ago, I had a divorce mediation where one party had been stuck for seven years, unable to complete what should have been a simple divorce. It was my attention to her feelings, without bringing up any logical or practical considerations, which enabled resolution: I allowed her to cry for three hours and tell me her story of their marriage coming apart. In this way, she was able to have her feelings heard and validated, and as a result settled the case 45 minutes later. As Hillman (1971) explained, “How long to hold and when to let go are again matters of timing; one has no better guide than the ‘inner voices’ of the feeling function and has to trust the guide” (p. 174). Once this woman was able to share her feelings and tell her story, the timing became right for her to let go and trust that she could settle her divorce. Thus, using every function described by Jung in psychological types is important for communicating with others and helping people resolve their differences in mediation. A mediator who can connect in all these ways and at different levels will be better equipped to help the parties find resolution of their differences. Haas, L., & Hunziker, M. (2006). Building blocks of personality type. Temecula, CA: TypeLabs. Hillman, J. (1971). The feeling function. In M.-L. von Franz, & J. Hillman, Lectures on Jung’s typology (pp. 89-179). Dallas, TX: Spring Publications, Inc.
Hillman, J. (1980). Persons as types. In Egalitarian typologies versus the perception of the unique (pp. 1-26). Dallax, TX: Spring Publications. Myers, I. B. (1995). Gifts differing: Understanding personality type. Mountain View, CA: CPP, Inc.
Myers, I. B., McCaulley, M. H., & Quenk, N. L. (1998). MBTI manual: A guide to the development and use of the Myers-Briggs Type Indicator. Palo Alto, CA: Consulting Psychologists Press. Sandner, D., & Beebe, J. (1995). The role of psychological type in possession from psychopathology and analysis. In M. Stein, Jungian analysis (pp. 322-330). Chicago, IL: Open Court. von Franz, M.-L. (1971). The inferior function. In M.-L. von Franz, & J. Hillman, Lectures on Jung’s typology (pp. 3-88). Dallas, TX: Spring Publications, Inc.
Wheelwright, J. (1973). Psychological types. San Francisco, CA: C. G. Jung Institute of San Francisco. Header Image: Richard Parkes Bonington, “Beached Vessels” (ca. 1825). Courtesy: Yale Center for British Art. 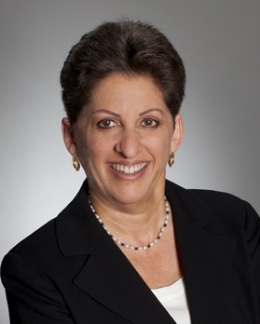 Diane M. Goodman is a California attorney and mediator. She mediates family law disputes as well as handling family formation matters. She received her J.D. from the University of La Verne School of Law in 1984 and her M.A. in depth psychology from Pacifica Graduate Institute in 2014. Ms. Goodman is the author of the parentage chapter of Practice Under the California Family Code published by CEB. She regularly lectures on family law issues to bar associations and community organizations.